It's that time again...monthly favorites! This year I have both old and new that i'm rediscovering and loving again. I have some classic items as well as some really affordable drugstore options (i've been obsessed with drugstore products lately) for you to try. Check it out! My old bottle started to thicken and not apply so well so I bought another brand's top coat at the grocery store - it was a fail! 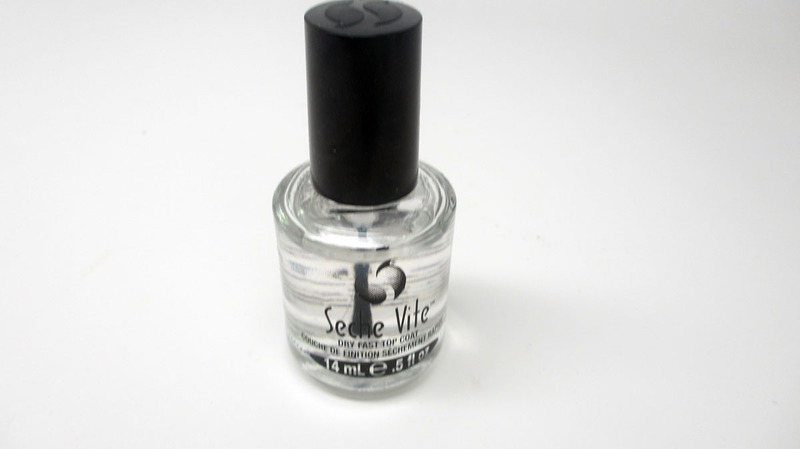 I love Seche Vite because it dries soooo quickly and gives a nice shiny finish to make not so great nail polishes look awesome. Definitely won't be straying again. 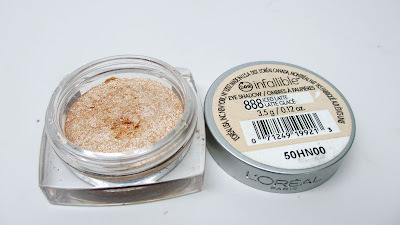 I've already featured this in a monthly favorites but I finally picked up my correct shade! This is a great facial setting powder and I also use it with just concealer on days when I just want a little something something. It's a great drugstore powder and the yellow tone is really nice. 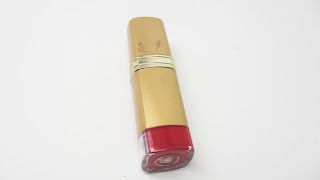 I have over a dozen red lipsticks in my collection but this is my favorite. Posner is a drugstore brand that I found after hearing another YouTuber rave about it. This color is so glamorous and I always get compliments when I wear it. This shimmery, champagne color makes the perfect tearduct highlight. It almost seems to have a glitter quality and really brightens up the eyes. 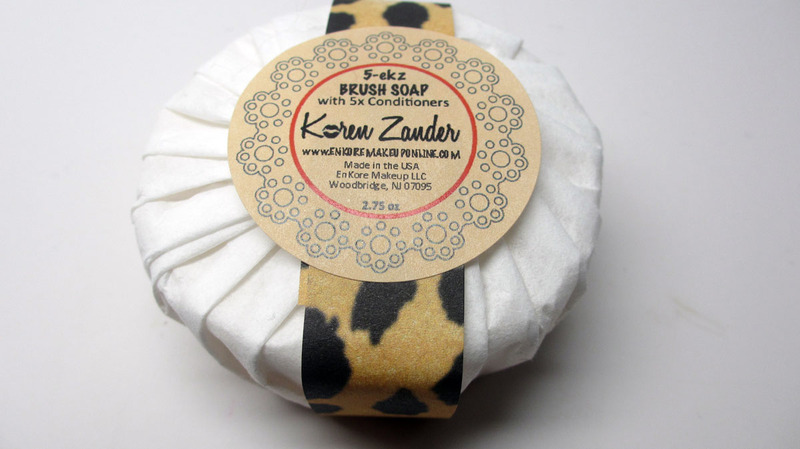 Unfortunately this product is limited edition but I'm going to do a giveaway! I like how this product gives such a beautiful, subtle highlight. I actually avoid the pink hearts and just go for the light pink surrounding shimmer so that it's not too colorful of a highlight. I picked this up at my grocery store when I ran out of Seche Vite. Boy does this take forever to dry! Ain't nobody got time for that! I think I got spoiled with Seche Vite. I will not repurchase. I'd Like to Win this powder because I don't own any MAC Makeup Products and this is a Limited Edition Powder with Very Cute Packaging that I never got my hands on and Probably never will only if you give me a chance! This would be a great bday present for me also. I am a freelance makeup artist too. I don't own many Mac products and would love to try this powder. Nice favorites, I was looking forward to try that OPI Top Coat. I would like to win because I have been looking for a nice highlighter that is not all glittery!! 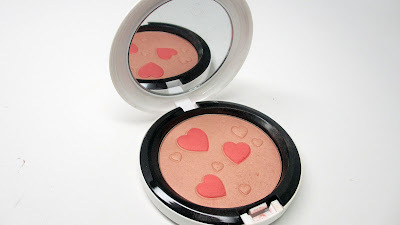 would love to win the flatter me compact so i can try out highlighting my face! I would love to win because I love MAC products and I have always wanted to try the pearlmatte powders but unfortunately I have lost my job and I am unable to purchase anything new until I get a job. I have like no MAC face products. I only own 4 MAC things total and they were gifts. Loved the favs, especially the color you wore in the video on your lips. I would love to win the Archie's Girl Pearlmatte Powder in Flatter Me. I have eying it even BEFORE it was released online. I think it would look great on me and I would use it as you do. Probably mainly for lighter color to highlight my cheek bones. Thank you so much for the opportunity. I`d like to win for the simple reason I can`t get MAC products in my country, not even by mail ordering. And buying it on line is not always safe. I would love to win this MAC powder. It looks beautiful on you and I love how subtle it is (thanks for swatching!). Very healthy looking. Thanks for this video I must try the other favorites! I would like to Win This Blush or Face Powder this to Highlight my skin because I think it's a subtle looking wash of color and I have been looking for a highlighter like this for my skin tone and just unfortunate that it was Limited Edition. I'd love to win because my skin has been dull lately and I think this would help me get a little glow! I'd like to win because I'm on a tight budget since I'm starting grad school next month and this would be a fun way to try something new. Well, I've been watching your channel for years now. i really learned a lot of makeup tips for you!! :) thank you for sharing your life and passion with us. Oooh I wud love to win the mac powder! It looks so pretty! Sam Schuerman talked so much about that Mac powder, I would love to try it out. I have similar but lighter skin tone than yours, and I've been trying to find a good highlight powder. Thanks! 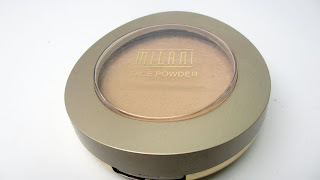 I would love to win this face powder because I have never tried any of MACs powder products before and this one looks like it would make a beautiful highlight on my medium toned skin. Thank you!